Sydney Plumbing Services » 3 Tips for Healthy Hot Water. 3 Tips for Healthy Hot Water. Who had a cold shower this morning? Winter makes the need for hot water a high priority. 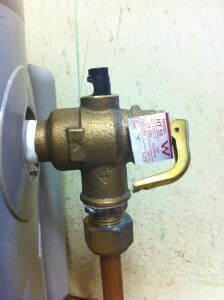 If you think your heater is under performing do this quick water heater health check. 1. Check the colour of your water. If its brown, your water heater has a buildup of sediment or rust. 2. 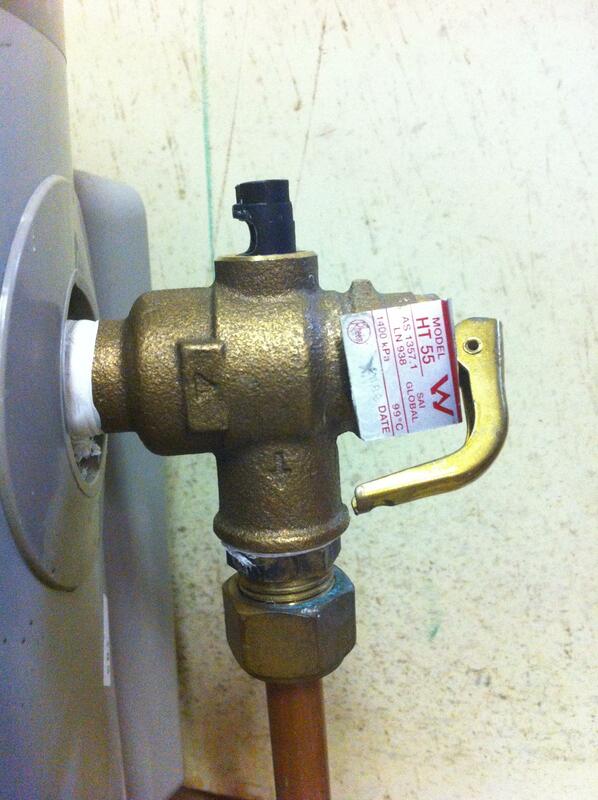 Check your Temperature and Pressure Relief valve (like the one shown below), pull the lever; it should spurt out water till you let go of the lever. If it dribbles afterwards, it needs attention. 3. Does the stop valve work? Try turning it off, test the water at your hot taps and turn it back on. Ideally it should stop the water flow through the heater. Whether your water heater is gas or electric, storage or continuous, check it regularly.